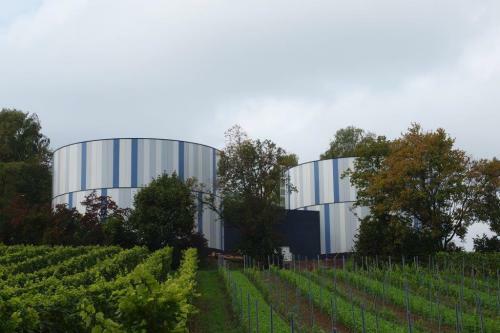 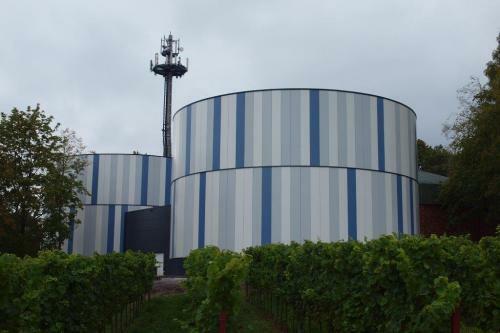 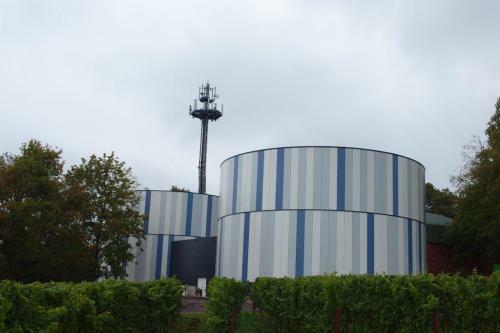 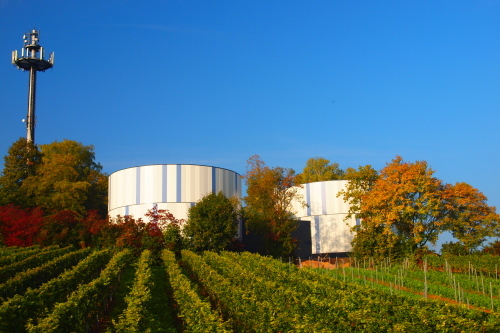 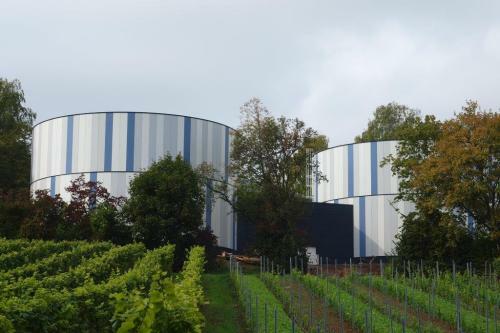 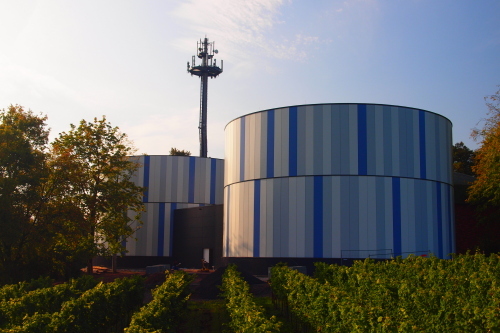 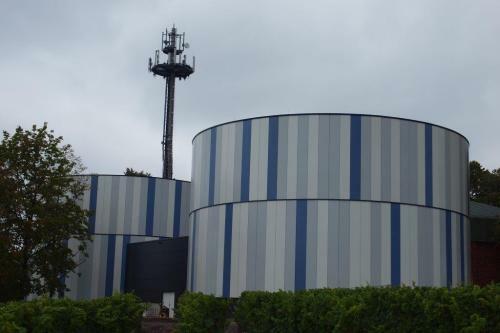 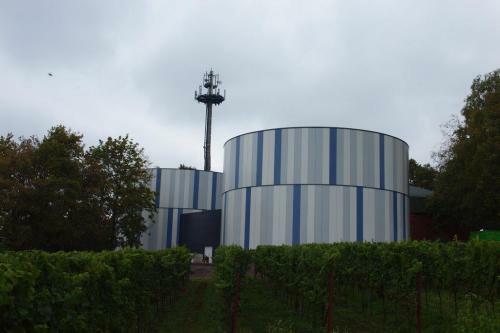 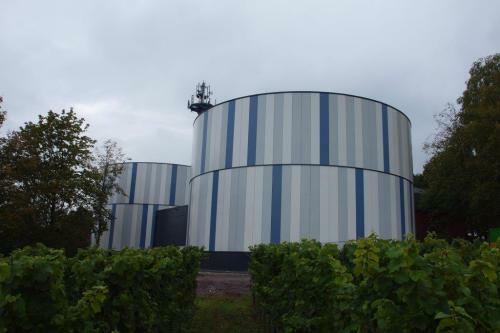 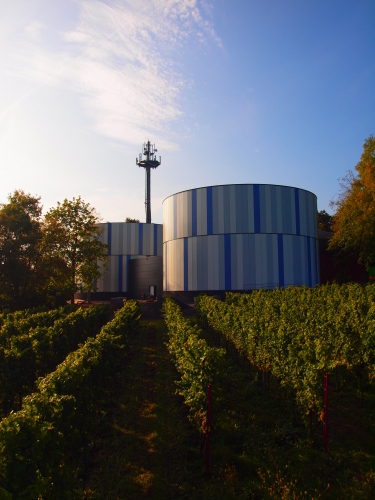 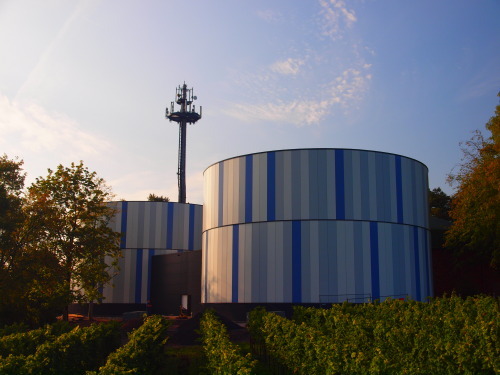 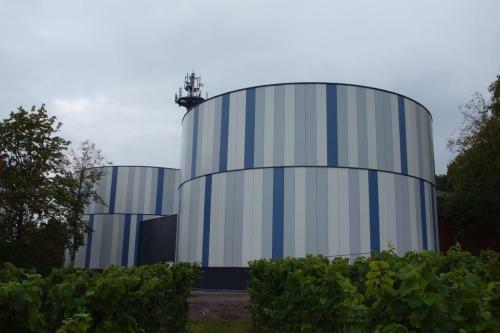 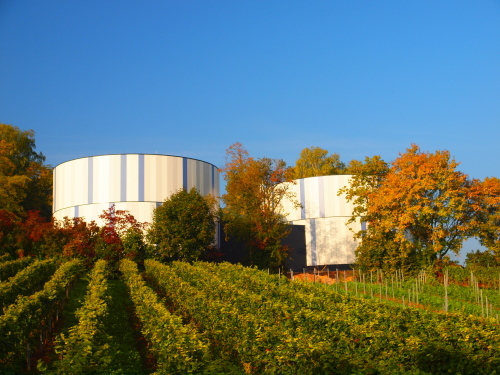 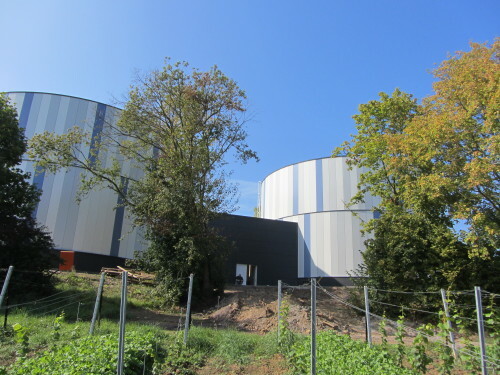 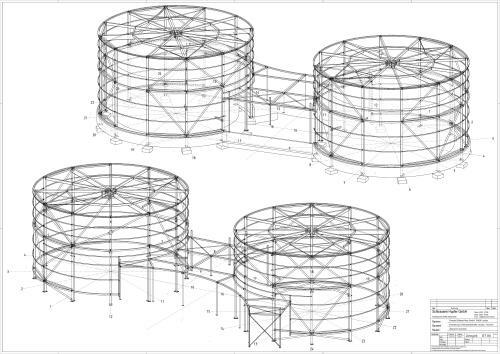 Scheduled for completion next spring (2015) and built to increase drinking water supplies to the city of Landau and its six urban districts, the water reservoir features two steel-framed cylindrical storage structures, each 12 metres high and with a diameter of 19 metres. 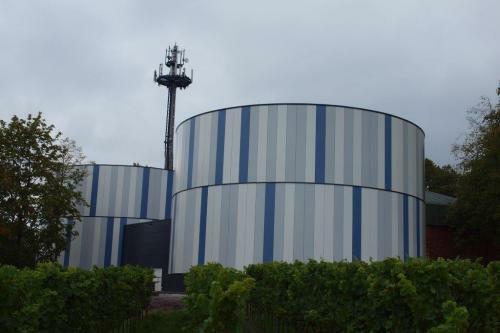 These new steel-framed structures, which each have the capacity to hold 1,500 cubic metres (1.5 million litres) of drinking water, sit adjacent to an existing 30m-diameter concrete reservoir, which is also circular in plan, but clad in a mixture of clinker and brick. 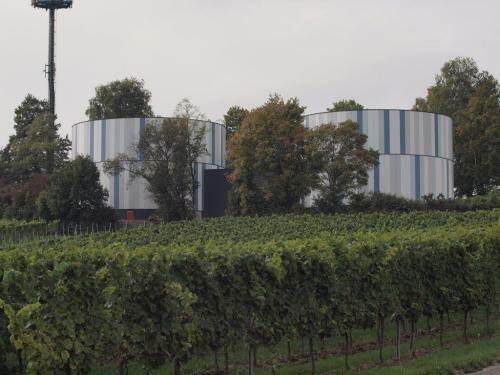 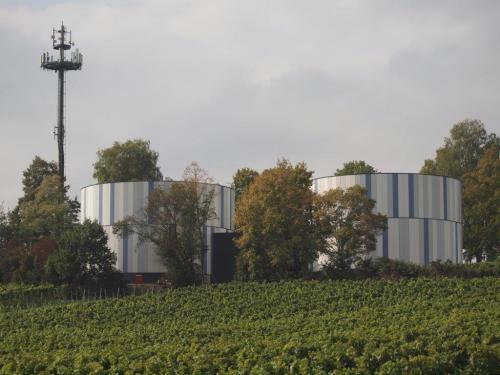 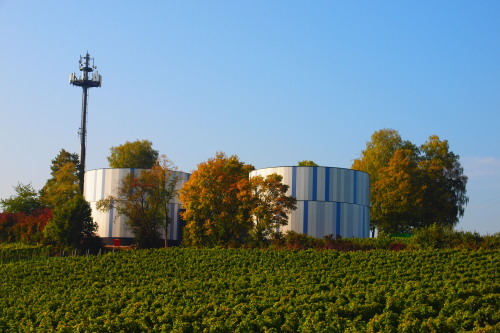 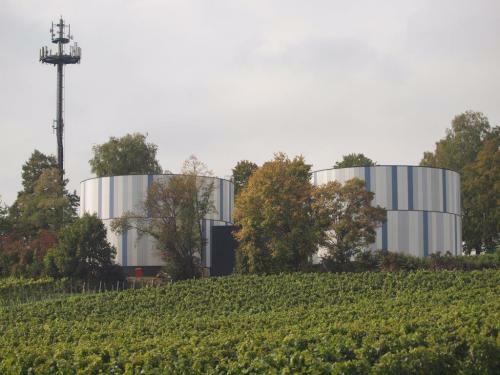 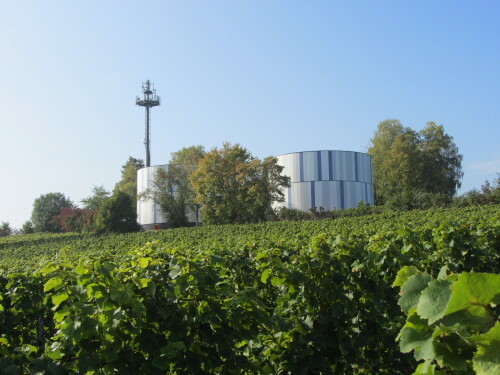 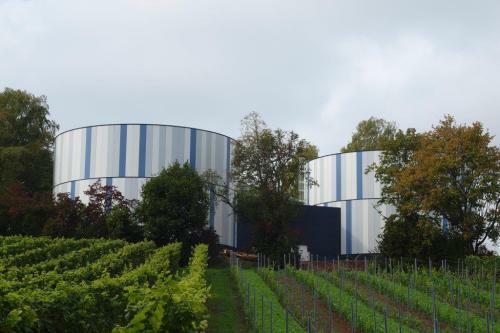 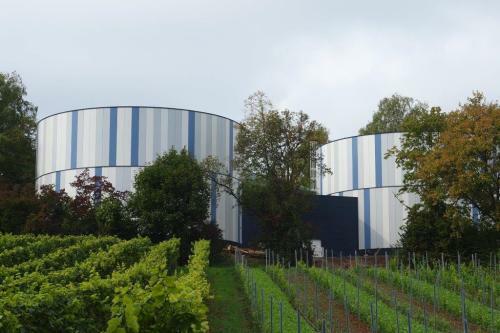 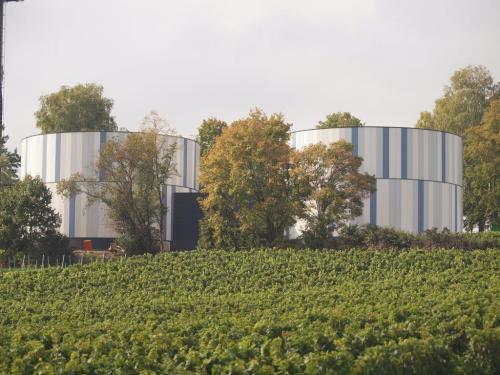 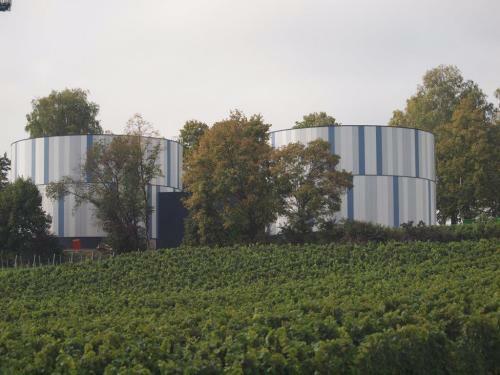 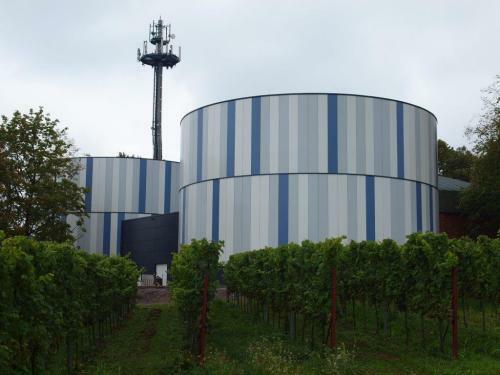 The overall capacity of the newly enlarged “Trinkwasserbehälter Arzheim“ will be 6,000 cubic metres. 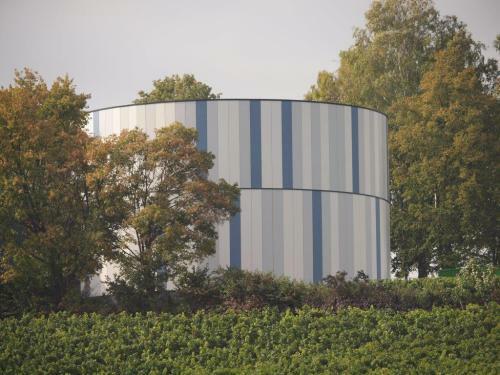 Contractor Karl-Heinz Fischer Bedachungen, from Thaleischweiler, panel manufacturer Kingspan and architect SIG Schroll Consult, from Saarbrücken, together developed the sandwich panel facade for the reservoir, as an alternative to a standard metre-wide ventilated cassette construction, which was deemed to be too wide for this application, thus leading to a sectional polygonal view instead of the desired smoothly curved surface. 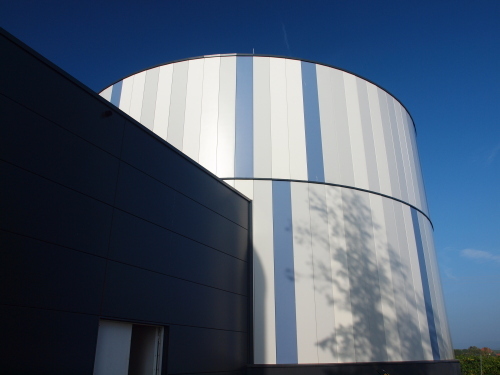 Kingspan KS 600 Optimo is a secret-fixed façade system with a modular width of just 600mm and a high-performance insulation core. 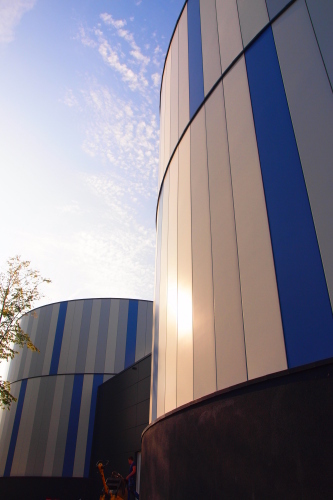 Its flexibility enables high resistance to mechanical damage, and it is suitable for all building applications except those with low-temperature internal conditions. 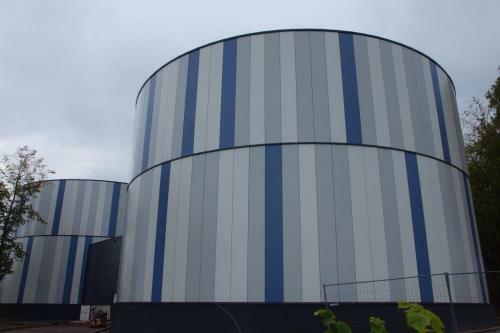 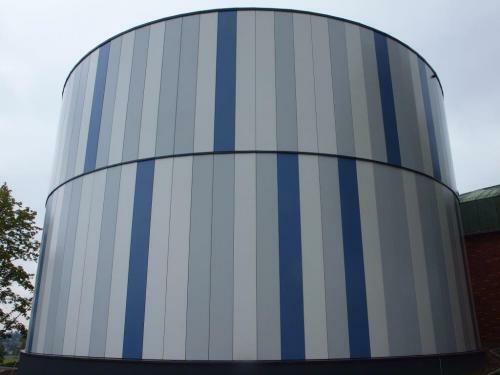 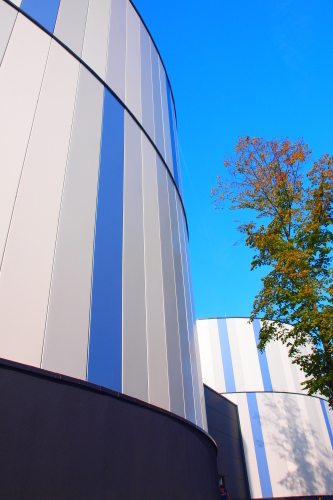 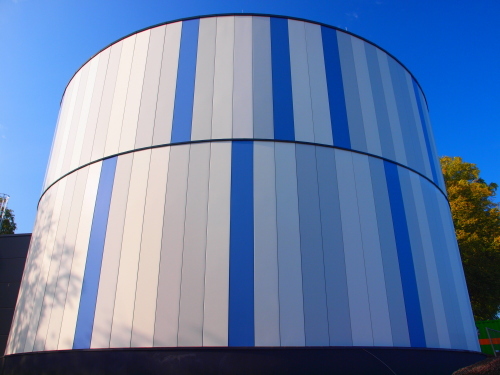 The polyurethane coated system is designed to offer outstanding durability and weather resistance, excellent corrosion, fire- and UV-resistance as well as high colour and gloss retention. 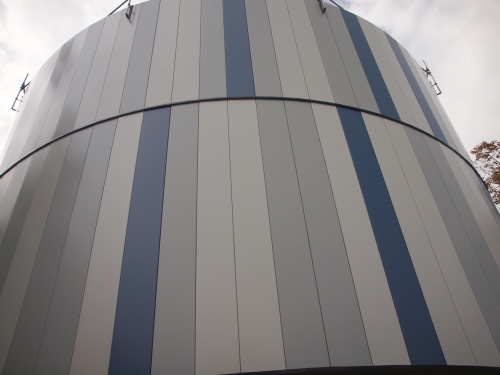 The facade specified by SIG Schroll Consult comprises vertical orientated elements in three colours, and while functional and economical for the client, the finished buildings have already emerged as far from utilitarian in appearance.